I am writing these lines on my laptop as I sip my morning cappuccino. Like many who work in Ramat Gan's Bursa district, my day begins with a cup of steaming hot coffee professionally prepared; there are many coffee shops and cafes in the neighborhood. Some people linger over their coffee, catching up on iPhone messages and answering emails; while others, like me, pull out their laptops and type away, undisturbed by the grinding of coffee beans; the hiss of steam escaping as milk is heated; and the swish of credit cards as orders are recorded. Go back twenty five years. 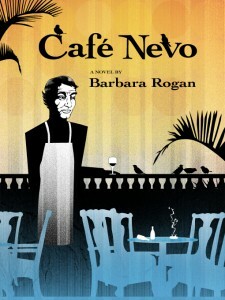 The fictitious Café Nevo of the Barbara Rogan novel of the same name is the "oldest and certainly the grungiest of the Dizengoff cafés". The coffee shop, originally established by two enterprising Polish brothers, attracts not only common workers, but "writers, actors, and artists who by virtue of their socialist ideology styled themselves members of the proletariat, but who in fact constituted the Tel Aviv elite of their day". "If they were that good they’d be working,” one of the characters of the novel says of Café Nevo's clientele. “Nobody with any serious work to do hangs out in cafés". Café Nevo has quirky and colorful regulars - they hang out in the coffee shop for hours at end. Each of them has an opinion about the establishment. "Nevo was like some great puzzle whose pieces wandered around of their own accord," one says, while another notes that "Nevo was a place where events and chance meetings broke over one’s head like waves. One could duck or jump them, but swimming for shore was not one of the options, not unless one chose to opt out completely." The man serving Café Nevo's patrons, when he bothers to do so, is Emmanuel Yehoshua Sternholz, a "jealous and exacting waiter." Sternholz "was the keeper of Nevo, no more, no less. If Nevo was a stage, and all his customers protagonists in their separate dramas, then Sternholz’s roles were manifold but uniformly subsidiary. He was the propman, the janitor, the Greek chorus, and the machinist of the deus ex machina; he was everything to others and nothing to himself." Tourists are often turned away from the Café Nevo tables, as Sternholz feels they might disturb the regulars. But "a customer on whom Sternholz deigned to wait" would not always get "what he asked for, for the waiter reserved the right to edit all orders. He gave his customers what they needed, not what they wanted." The café serves as just the center of this wondrous stage. Rogan's novel takes us into the lives of its regular customers one by one. We meet a cabinet minister with secret real estate deals in the West Bank; a celebrity prostitute who only takes on Jewish clients and ends up pregnant by one of them; a disillusioned kibbutznik who walked away from his Israeli army service, upsetting not only his IDF general father but the entire kibbutz; a young painter who sets up her studio on Sheinkin when that street was still affordable; a famous Israeli author at odds with his Palestinian collaborator on an anthology; and the author's estranged wife, who has a casual affair with that same Palestinian. Sternholz doesn't hesitate to sit down with his customers, listening to their life stories and offering solutions to their problems. Frequently he tries to kick them out of the café, to get on with their lives. As one of his regulars observes, "He was always telling customers, 'Go home, get a job, get out of here.' Sometimes they went, but they never stayed away. 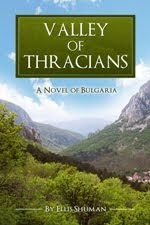 Whatever changes, growth, or petrification took place in their outside lives, they kept on coming back, as if Nevo were their spawning or their burial ground." Rogan admits that the Café Nevo of her novel was modeled on Tel Aviv's legendary Café Kassit, which was also located on Dizengoff Street. An Israeli documentary a few years ago featured Cafe Kassit, which for five decades served as a home and meeting place for the best artists in Israel. According to an article in Haaretz about the film, the cafe "helped Hebrew creativity flourish thanks to a constant flow of alcohol, food and regular or incidental muses." As Rogan adds on her blog, "If a missile had struck the cafe on a Friday afternoon, Israeli culture would have been pulverized." "My café was modeled on Kassit, not the thing itself, which could not have been encompassed in a novel; but it was also a tribute to an institution I’d thought would last forever," Rogan writes. "But Kassit was gone, long gone. 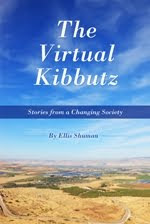 It existed only in the memories of its patrons…and, in a way, between the pages of my novel, where its fractious customers are forever presided over the café’s tyrannical waiter and secret owner, Emmanuel Yehoshua Sternholz." Buy Café Nevo and read it now!